In 2017, the NYC Wheel is finally set to open here on SI by the ferry terminal and baseball park. 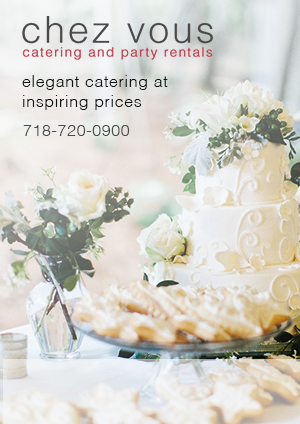 But that doesn’t mean the celebration and fun can’t start a little early. 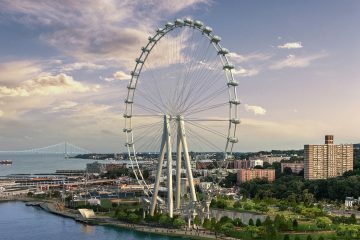 Between now and the middle of 2017, Staten Islanders will see steady progress on the New York Wheel project in St. George. As time goes on, the development site will slowly start to look like the mammoth observation wheel we’ve seen in renderings. 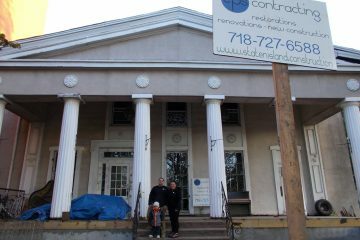 It’s not just the north shore of Staten Island that’s seeing construction these days. 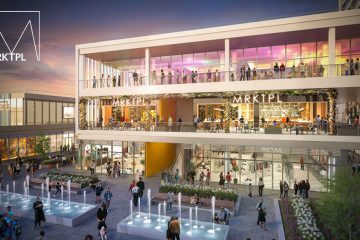 The video above shows one of the south shore’s biggest projects, the Riverside Galleria, which is opening in Charleston in 2017. The smart people behind the Empire Outlets YouTube channel seem to understand how much Staten Islanders like drone footage. 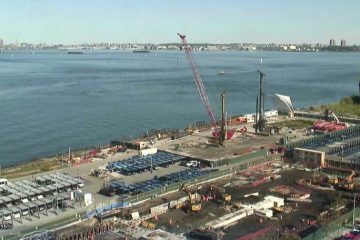 In the clip above posted on April 13th, you can see 3.2 million pounds of steel that makes up the MTA Build-over Area, a feature that protects the St. George community protection from future Hurricane Sandy type superstorms. The flyover of the site also shows a general state of the build site from the top of a crane. 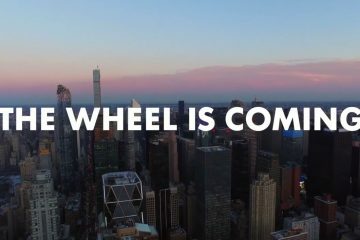 LOOK: The New York Wheel’s Construction Is Underway! 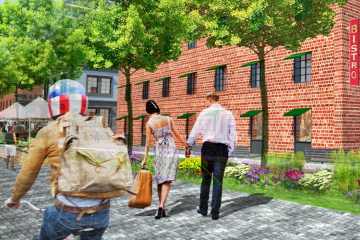 Here at This Way on Bay, we’ve been keeping you up to date on the development of the core four developments on Staten Island. Today we have a real treat, the Instagram above shows the embed foundation for one the New York Wheel’s massive legs. One of the “Core Four” Developments on Staten Island’s north shore, Lighthouse Point, a project under development from Triangle Equities promises new construction of 62,000 sq feet of retail space, 109 residential rental units (20% of which will be affordable housing), 180 hotel rooms, 125,000 square feet of sub-grade parking (which will fit up o 400 cars), as well as Rehabilitation of 4 Historic U.S. Lighthouse Depot buildings. 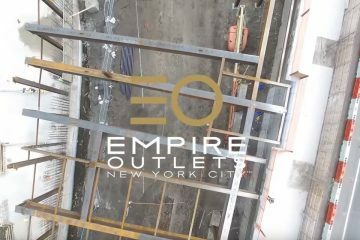 The official YouTube account of the Empire Outlets posted an update on it’s construction. 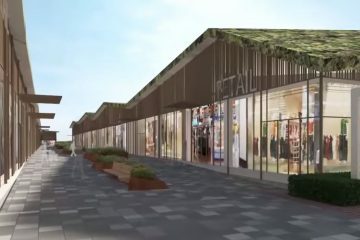 The videos above show the progress of NY’s first outlet mall, being built right here on Staten Island. 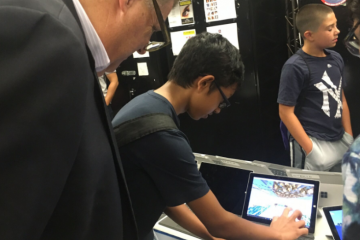 Staten Island has been buzzing with new development and exciting new projects to further build up the North Shore. 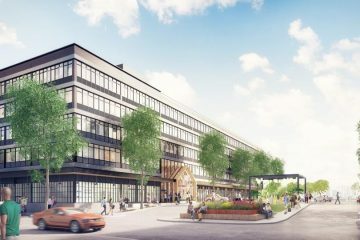 We spoke with URBY, who told clued us in on some exciting news about the new UBRY Staten Island, formerly known as the URL Building.